Diego Lopez has been sacked after Palermo took only one point from eight games. Palermo sporting director Nicola Salerno has resigned and coach Diego Lopez has been sacked, the club's president, Paul Baccaglini, has announced. Baccaglini released a statement confirming the Serie A strugglers had "received and accepted" Salerno's resignation and said academy coach Diego Bortoluzzi would take over from Lopez until the end of the season. Palermo have picked up just one point from their last eight games and are second from bottom of the table, eight points adrift of 17th-placed Empoli. Baccaglini said: "We cannot afford defeatist attitudes in these last few games. We owe it to ourselves, the fans and the prestigious colours of our team to fight seven games to the death and leave everything on the pitch. "I inherited a squad which is going through a difficult time and I'm trying to do everything to shake up the foundations and get heads held high again. "For this reason, I've offered the players a reward for staying up, and this aims to be a strong signal by the club to show how much we believe in and are fighting for this goal. "It will take a strong boost -- we need to change and play all together for everything. "To that end we have decided to relieve Diego Lopez of his duties as coach. He inherited a difficult situation and we thank him for his hard work." 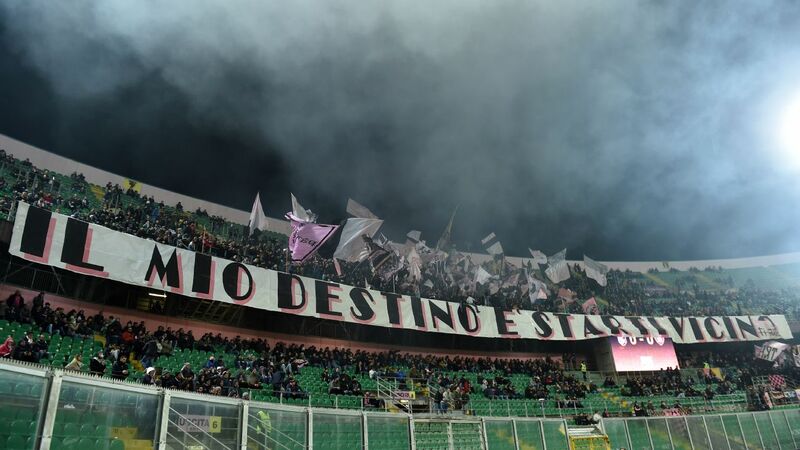 Baccaglini urged Palermo fans to be patient, calling on them "to believe in the project which will bring this city the emotion that it deserves."